13 Comments	This post may contain affiliate links. 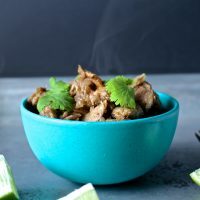 Paleo Whole30 Carnitas are loaded with flavor and easy to make. Only 6 ingredients to make the most tender, juicy, little bites of deliciousness. I love this meal because it makes so much and is so easy. I’m thinking it could be made in the slow cooker, which would make it even easier and perfect for weeknights. I personally love cooking in a dutch oven, but I know not everyone has time for that. 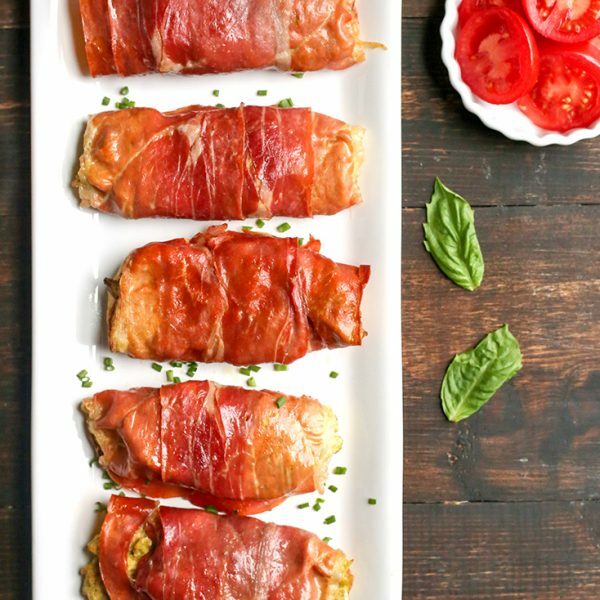 Let me know if you try it in the slow cooker. Here are the ingredients you’ll need. Ignore the extra lime and bay leaves. I made it twice, once with the bay leaves and once without and I don’t think they’re necessary. So this is not exactly “authentic” carnitas considering I added coconut aminos, but it’s so close. 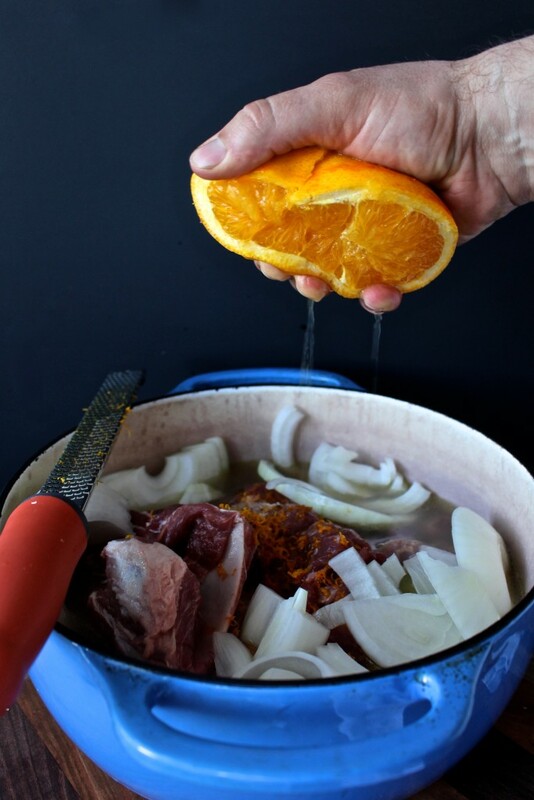 Cut the pork into large pieces and trim away any access fat. I threw in the bone because that adds lots of flavor. This is the step that requires the most hands on time. It takes me about 15 minutes to do this. Not that bad, just make sure to factor that in if necessary. Bring that all to a simmer on the stove top. Turn the heat off, cover, and place in the oven for 2 hours. Remove it from the oven and take all the pork out and set it on a plate. Over medium-high heat, reduce the liquid left in the pot by at least half, or until desired thickness. This took me about 20-30 min. 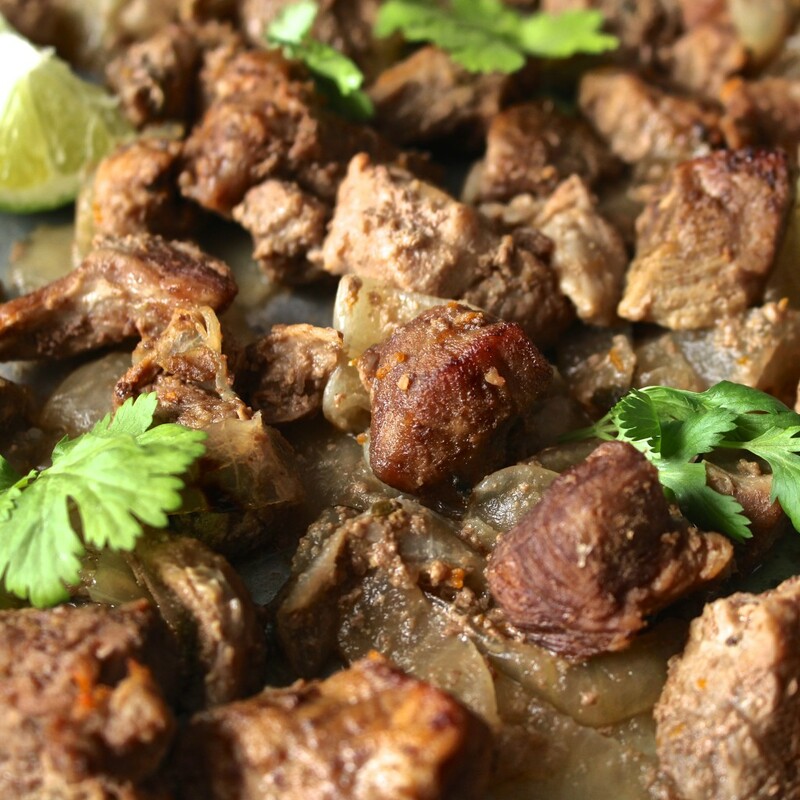 Take some pork and liquid and place it in a large frying pan with some coconut oil. Cook until browned and slightly crispy. You can also place the pork on a sheet tray and broil it until browned. We prefer the pan method because it keeps the pork juicy. Yum! Look at those crispy little bits! So good! You will love how so few ingredients create such great flavor. Perfect served on a salad, over cauliflower rice, in a lettuce wrap, on a potato, or out of a bowl. 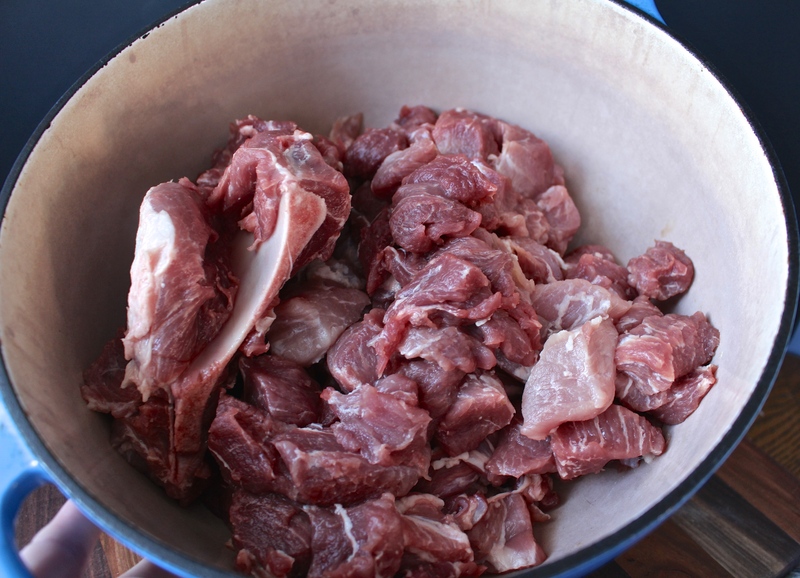 Trim all the big pieces of fat from the pork and cut into large chunks- about 1 square inch pieces. Place in a dutch oven on the stove. 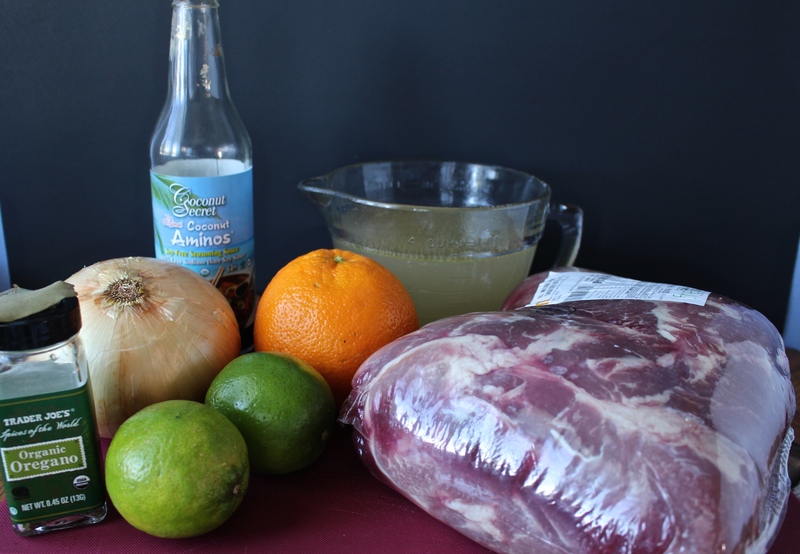 Add in orange zest and juice, onion slices, juice of the lime, coconut amino, broth, salt, and oregano. Bring to a simmer over medium high heat and turn off. Cover and place in over for 2 hours without checking on it. Remove from oven and take all the pork out and place on a plate. Reduce the liquid by at least half, or until desired thickness. This took me around 20-30 min. 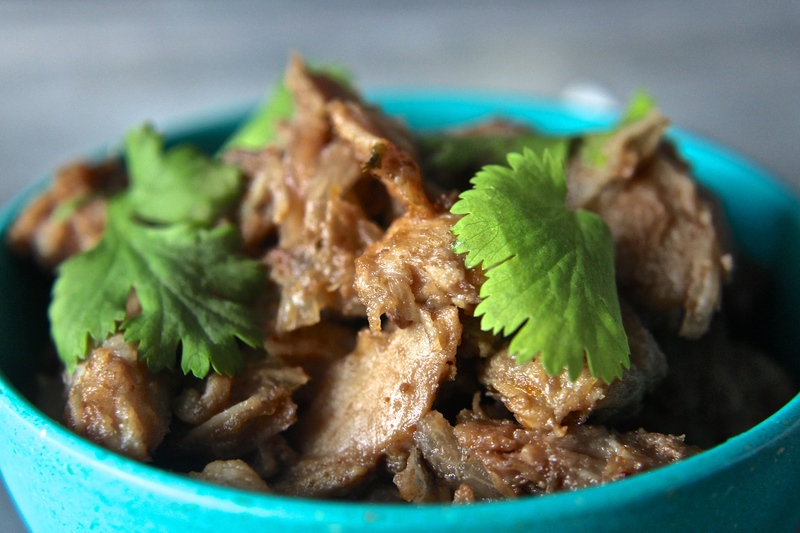 Place pork and some liquid in a large frying pan with coconut oil and brown until crispy. OR Place pork and sauce on a sheet tray and broil until browned. 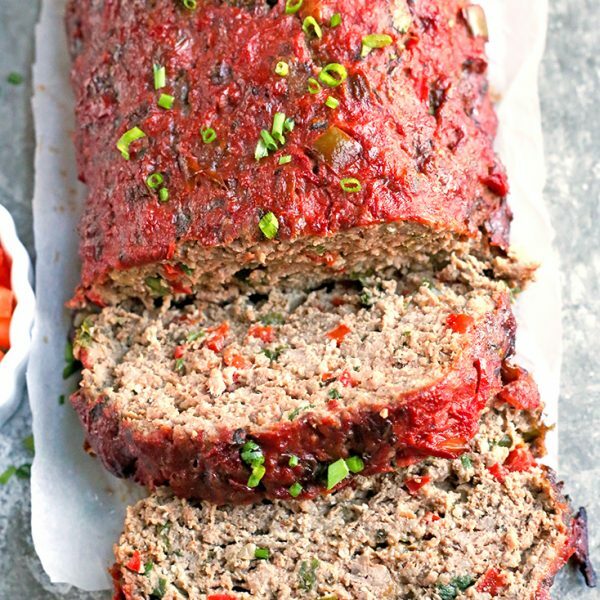 We prefer the pan method for the juiciest pork. 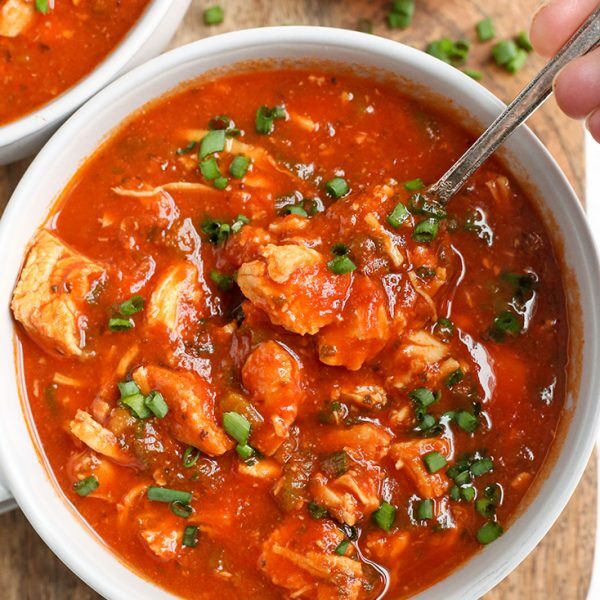 I did make this in a slow cooker the first time, copying the steps from another recipe for them on Pinterest but your ingredients. Delicious. Now I have the Dutch oven in the oven right now for my second time. Do you brown pieces at the end: ALL the pieces or SOME? I think the recipe says “some”. 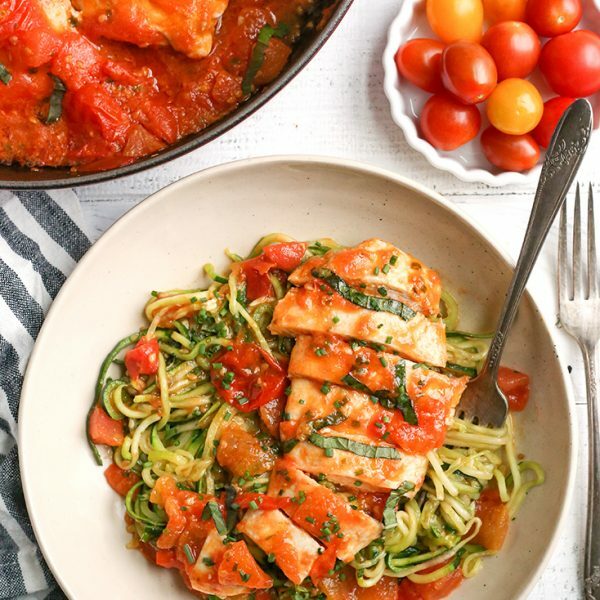 I love this recipe, the favorite main dish I discovered doing the Whole 30. Thank you! Gosh now I reread it and see SOME liquid and all the meat! Will do. I’m so glad you like the recipe, Susan! 🙂 You’re welcome! Hello!! If I was to do this in the slow cooker, would I add all incredients and let cook? I ask because of your final step of reducing and thickening the liquid. Hi Brittany- yes, add all ingredients and cook. The last step you could add all the liquid to a pan and reduce it that way. It’s a little bit of a hassle, but it will be quite liquidy. Hope that helps. I think you’ll love this recipe!